Rob has one more comment about Interstellar. A brief coda, if you'll permit. This might be obvious, but watching a film and writing a film are very different things. While the audience should be kept guessing, the assumption is that the screenwriters have a pretty decent idea where things are going. Themes and questions that are set up in the beginning should drive the plot, complicate the problem, and ultimately pay off in a satisfying resolution. It's what gives us the "ah ha" moment at the end of the film. Conflict is also key, obviously. Character conflict usually stems from contradiction. In this case, a man must reconcile his need to explore with his responsibilities as a father. This will be his journey, and the beauty of a good drama is that all the ensuing complications and compounding plot elements are meant to distract us from that initial purpose until it becomes crucial in a key moment of need. It’s the essential glue that bonds theme and plot. It's what gives drama humanity. But some films get so wrapped up in the action and spectacle that they seem to lose sight of this character journey. Simply put, Interstellar suffers from such a disconnect. Cooper's mission paramaters allow for two means of success: Plan A, in which the remaining population of Earth colonizes a habitable planet, and Plan B, in which the humans on Earth are left to die while the crew of the Endurance repopulate that new planet with fertilized human embryos and start the race anew. Cooper clearly prefers Plan A, the one that allows him to see his children again. 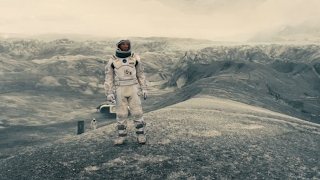 With that in mind, we realize that the emotional tipping point of Interstellar lies after the exploration of Miller’s planet (the one on which they experience extreme time dilation). A simple mistake by Dr. Brand costs the crew twenty-three Earth years. Cooper rushes to his inbox to check two decades worth of messages, learning that he has missed his son’s entire young adulthood (including the birth of grandchildren). Not only that, but in so many years, his daughter Murphy has sent him only one message, a scathing reprimand in which she reminds her father that she’s now the age he was when he left. That he never came home. That he broke her heart. For a character who has prioritized his children’s safety and security so much so that he travels through black holes to find them a new place to live, this is his low moment. He’s missed their entire lives. He’s become the shadow that his wife foresaw, nothing more than a vague memory. On a plot level, we want some sort of reconciliation for that disaster. This should be the drive that propels Cooper toward his ultimate destiny. It’s the classic second act turn. At first, it seems we’ll get it: Upon learning that Plan A was never a viable option, Cooper resolves to head home to die on Earth with his children. His motivation is clear, but Cooper’s children should also be making decisions and resolving their own issues. 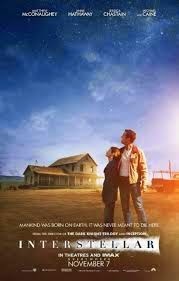 The film teases a rift between Murphy and Tom (who, without explanation, insists his family stay on the farm to die of dust inhalation), but there is little payoff. 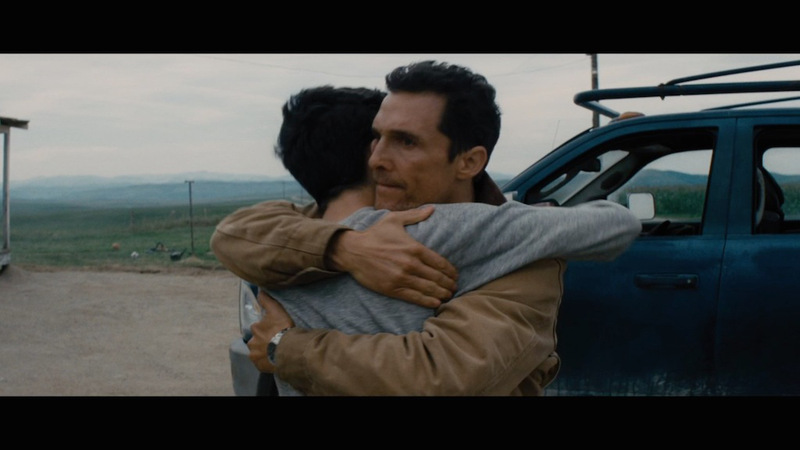 A confrontation and a hug. The children fail to play an active role in their own reconciliation with their father. Why is Murphy still on the farm? After discovering that Plan A was a lie (and assuming that her father left her on Earth to die), what impetus drives her to go back home and decode the messages? The promise of Cooper's return? At what point is that conveyed? When does her opinion of her father turn around? Why does she bother looking at the watch again? It’s clear that Murphy should go back to the room and decode the mystery (Cooper even realizes that it’s not him that the “beings” chose to save humanity, it’s her), but she seems to wander aimlessly into the room. The film never gives us a good reason why she does it. It's her one defining character moment, and it feels completely unearned. Both of Cooper’s children are sorely under-developed; we missed an opportunity to craft an important bridge between father and daughter outside of a vague and tenuous promise of eternal love. Sure, there's a brief reunion on the space station at the end of the film, but it's frustratingly short and underplayed. "No parent should watch their child die"? Honey, I folded galaxies to get back to you. Give us a few more minutes of catharsis, please. Cooper never truly reconciles his desire to explore with his need to secure his family, which, we were to believe, is the point. The central theme of love spanning all the infinite galaxies and dimensions is a good one. It should work. * A father desperately trying to send a message to his daughter from "the other side"? 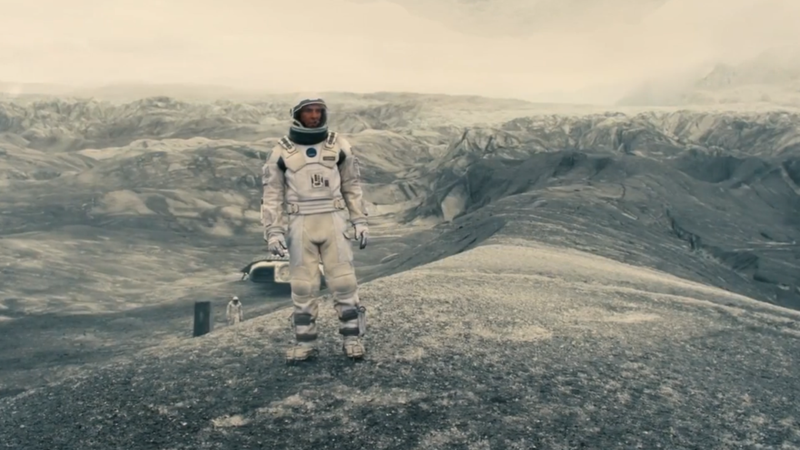 It's gold, and Interstellar introduces it in a way that we've never seen before. A way I'll be thinking about for a long time. But Mr. Nolan has copped out on his ending. He's given us a series of climaxes that bend to the logic of the plot rather than grant emotional closure. To quote a wise man, the ending is the central conceit of the entire story. Don't give me Dr. Brand or robot sidekicks. Get this man back to his family. It's this crucial human element that separates him from the others and makes him a hero. Or at least it should. A father's love spans billions of miles, but it apparently fails to interest Mr. Nolan for the three-hour running time of his film. *It does in exactly one instance: Whose planet ends up being habitable? Edmunds', the guy Brand loves. She should have followed her heart to begin with. And where the hell is Tom's family once Murph gets to the space town thingie?